Wishing you all a Happy Mother’s day. 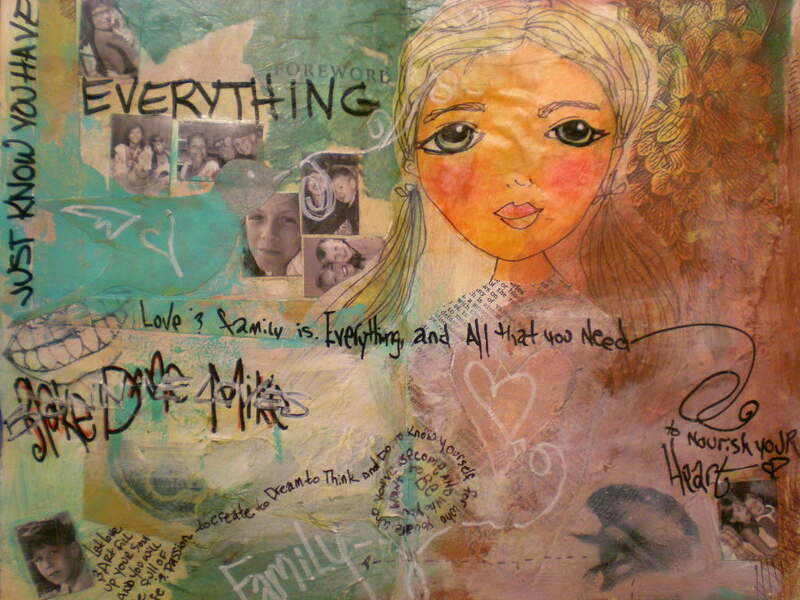 Today I thought I’d share a page out of my art journal. 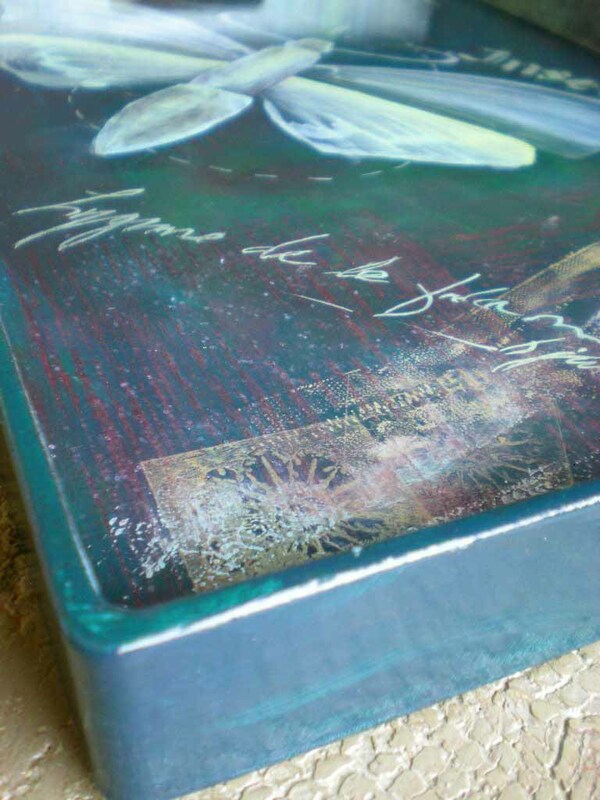 I love to create in my art journal. 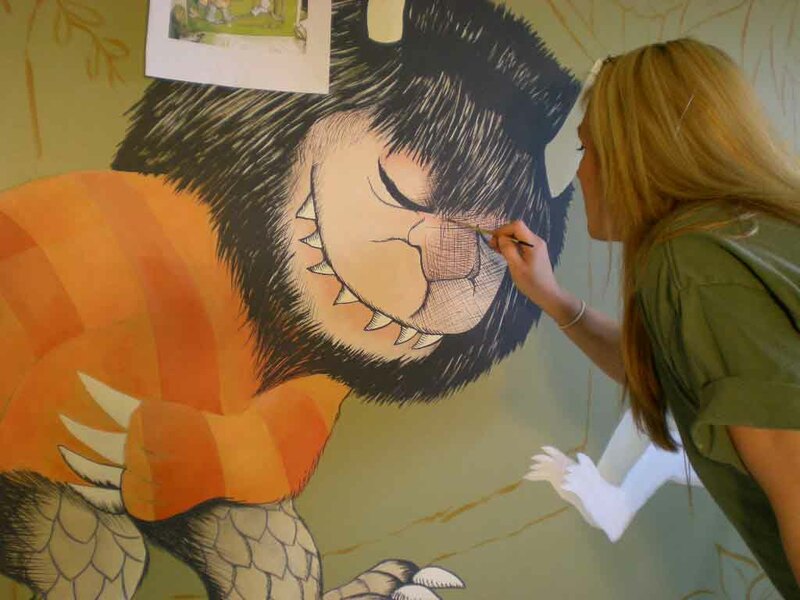 It’s a place to draw, doodle, paint, collage, scribble, think, write… a place to create for ME. I highly recommend this to everyone. How do you start? No one can explain better than Suzi. Check out Suziblu on Youtube http://www.youtube.com/watch?v=aRF4bsTToyk and then after that check out this http://www.youtube.com/watch?v=Q1U_DB4UFmk. She’s hilarious and has many fun and inspirational multi media ideas. Now go create and enjoy. These two stopped by the other day and visited with me for a while. They were actually curious about what I was doing! 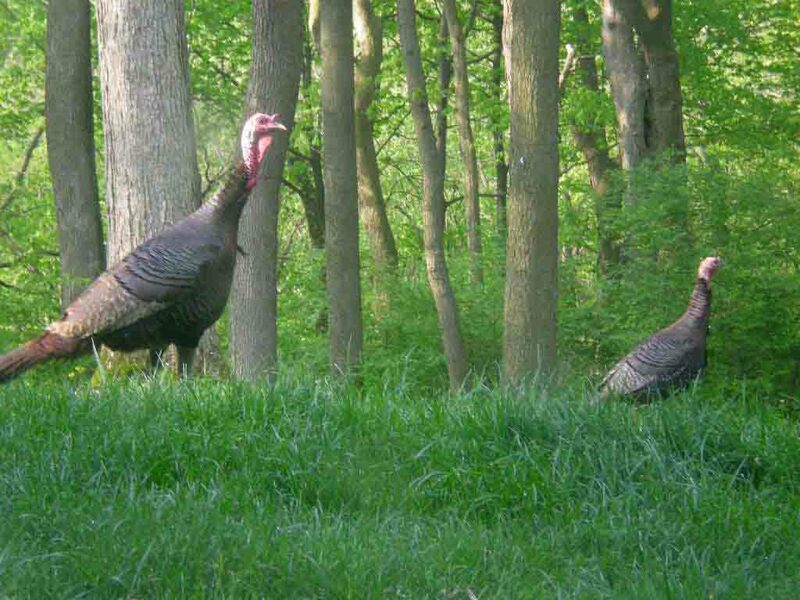 Don’t they know it’s Turkey Season (or is it wabbit season)? I’ve been getting things painted! Yeah! 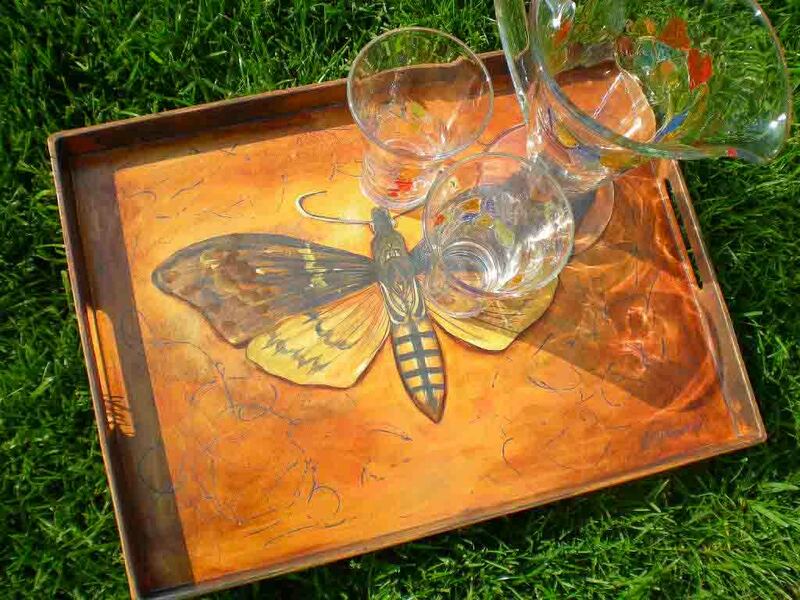 These serving trays are two of the smaller items that I will be putting on my soon to be open Etsy (http://etsy.com) site. I’m trying to keep the Etsy stuff small-ish for easy shipping. I’m gathering and organizing for summer sales. Three finished beds to sell. Two of them are to sell as a matching set. Organizing my studio, in preparation for at least two art/street fairs this summer and I will be starting an Etsy site (http://etsy.com). I have a lot of small items in my studio that are ready to go, but I need some larger items. 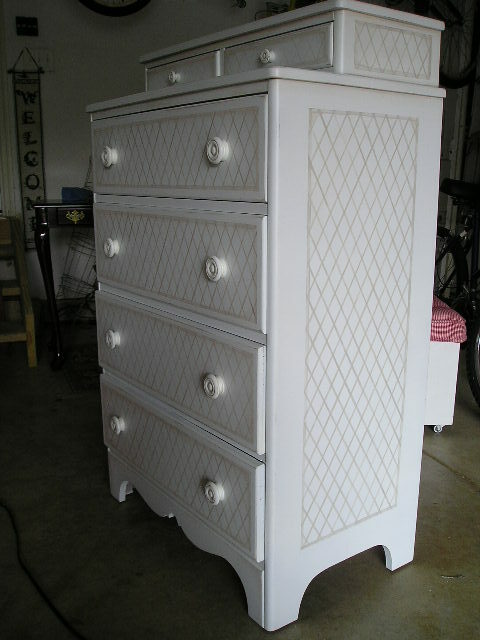 Waiting in line to be painted: 2 chiffarobes, dresser, armoire, library table. vintage high chair, makeup/jewelry table, table and four chairs (I’m thinking of a game table design), architectural finds (carpentry first, then paint), chairs chairs chairs, canvas murals and a toy chest! Hoping that by revealing my huge to do list, I will get these painted, posted and purchased. I will be posting my Etsy site as soon I get that going. When I say the words “painted furniture” do you envision bright colors covering a chair with flowers, checks and polka dots? Often, people do. 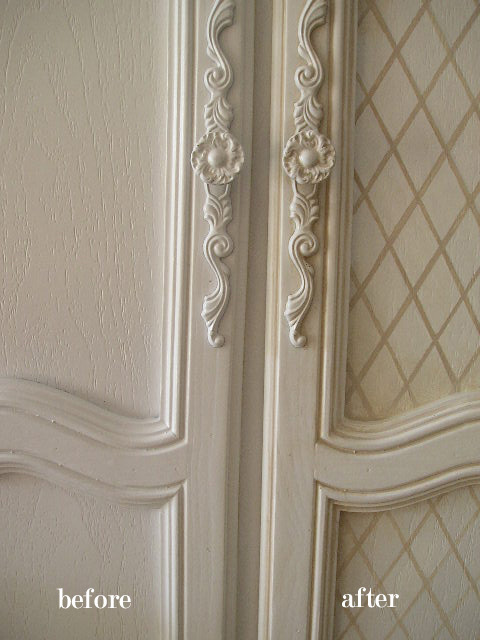 But, painted furniture can be many things. From vibrant designs (polka dots and plaids) to subtle hints of time worn use. I painted these two pieces for a french inspired nursery. 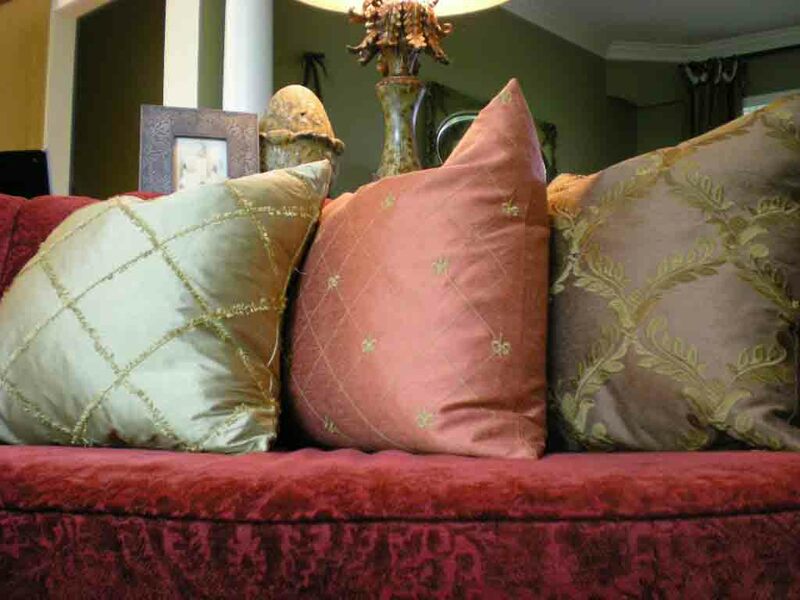 Pink, brown and taupe toile fabric by the yards and yards required the furniture to be a subtle compliment to the room. My client already owned these pieces. 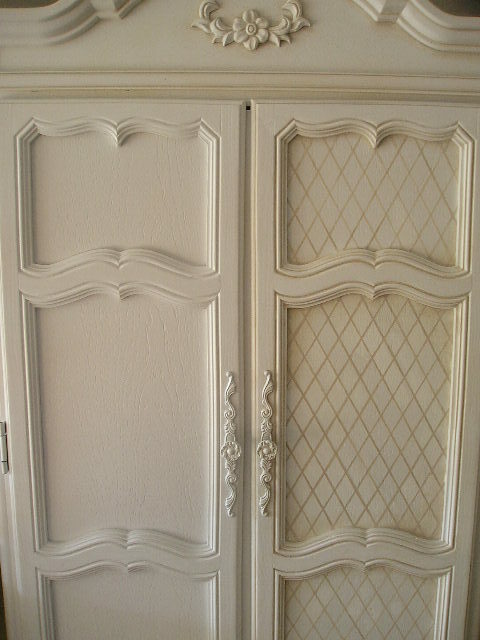 She had used this armoire when she was a child. I had also painted a gorgeous antique upholstered chair and side table for this room. 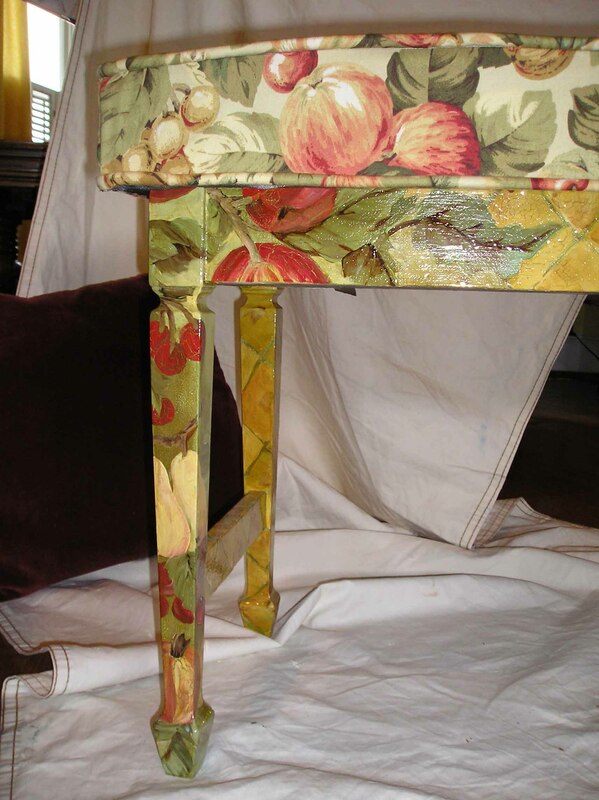 Painting all of the different styles of furniture with the same colors and designs brought everything together. 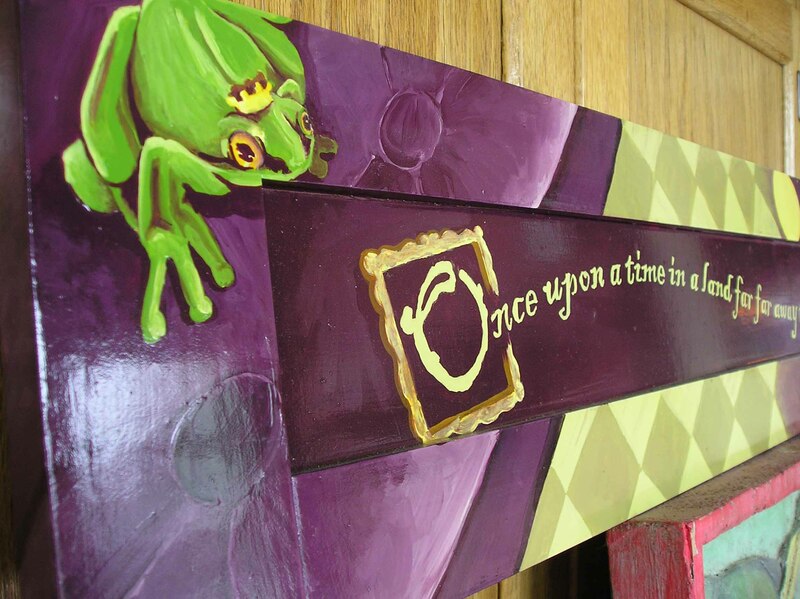 Instead of selling these old pieces they didn’t know what to do with, they re purposed them into a beautiful nursery. And, these designs are so sophisticated (not child like) she will be able to use them for a very long time. 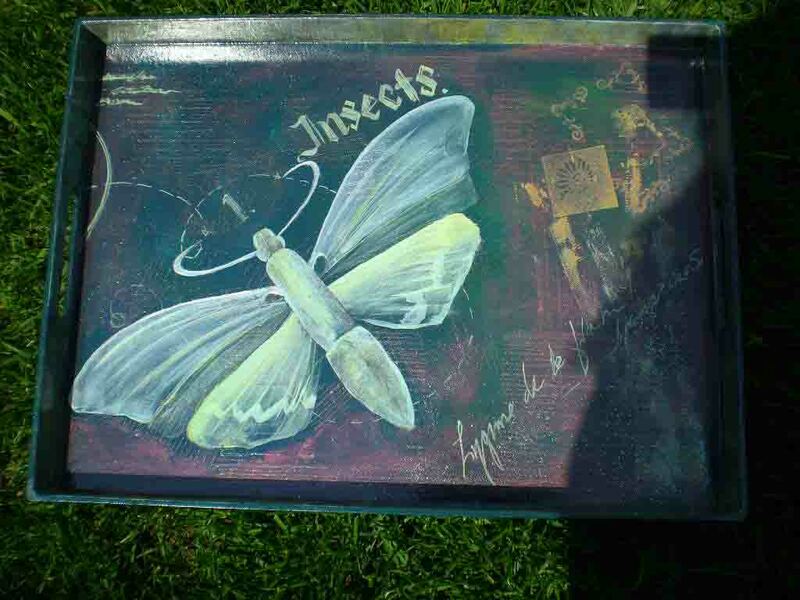 You can search for a piece to purchase that you’d like to paint or have painted. Or, you may already have something you love that just needs updating and style. 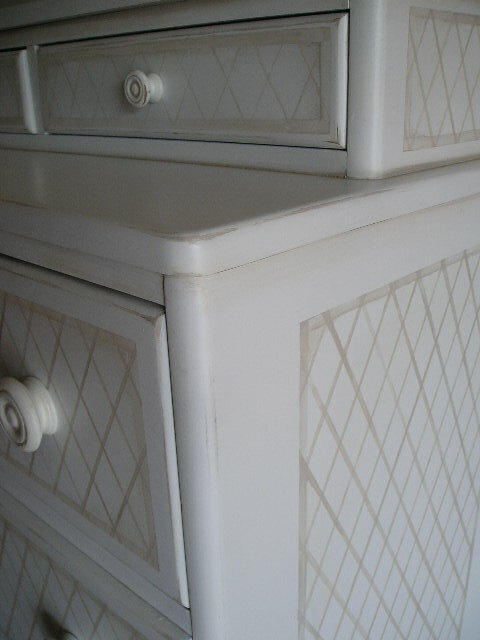 Painted furniture works in any room of your home and with any personal style. 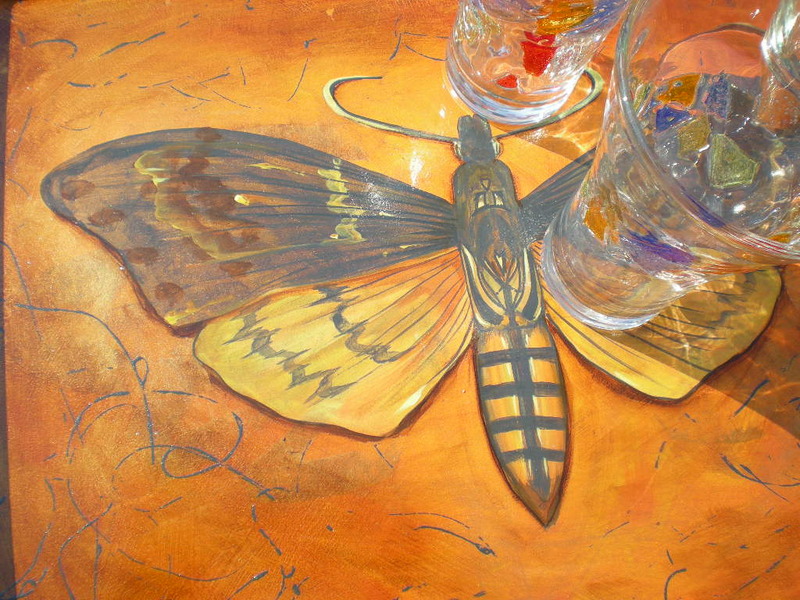 There’s a connection between a painted piece and the owner. It’s more that just a piece of furniture, it’s a memory, it’s a gift, it’s a loved object with a history that you helped create. 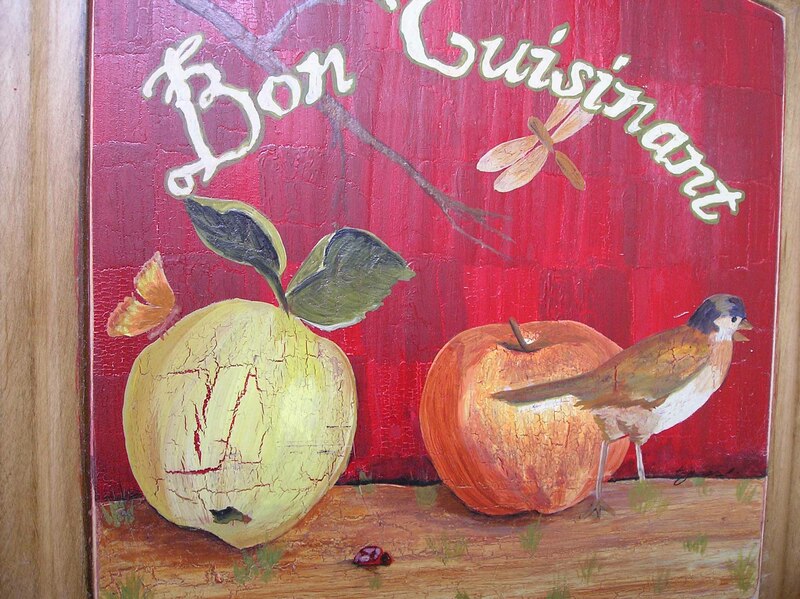 I created this design for a client with a very french country kitchen. 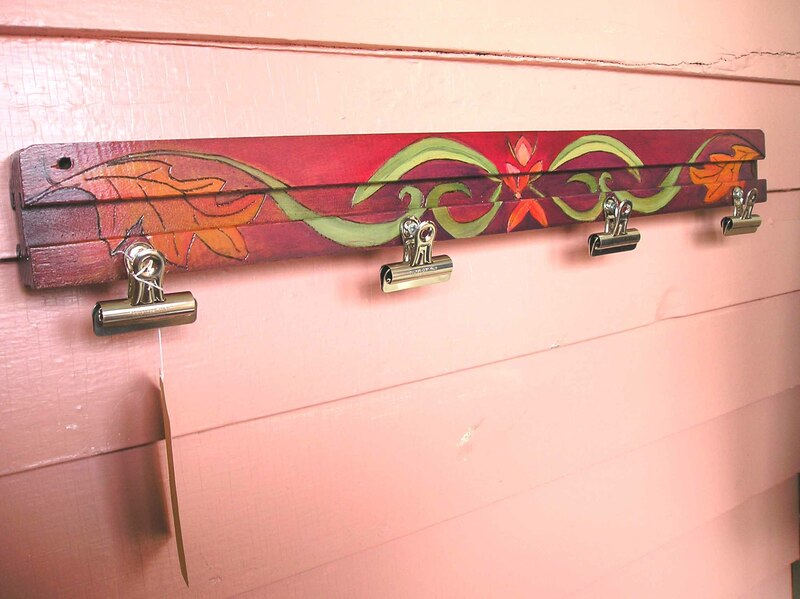 She wanted a mural on a soffit above an opening between the kitchen and her living room, that tied in elements of her love for cooking and nature and her arts and crafts furniture collection. She loved this design. Unfortunately, she was not able to have it completed. I am truly disappointed because I was looking forward to painting this. I want to give it a home somewhere… here seems a good place. Yes, it’s true. 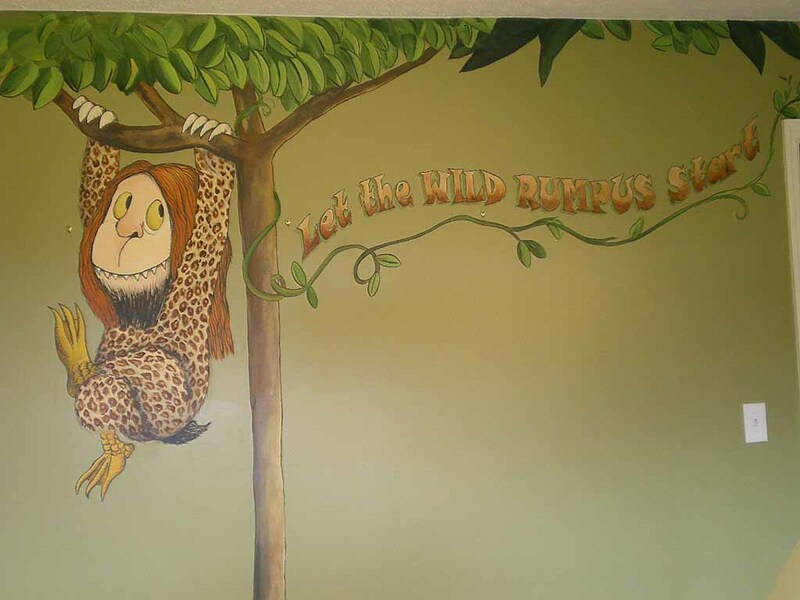 Wild Things are in the nursery… but don’t they look gentle? I am hoping that when baby Augie arrives, he will love his new bedroom. 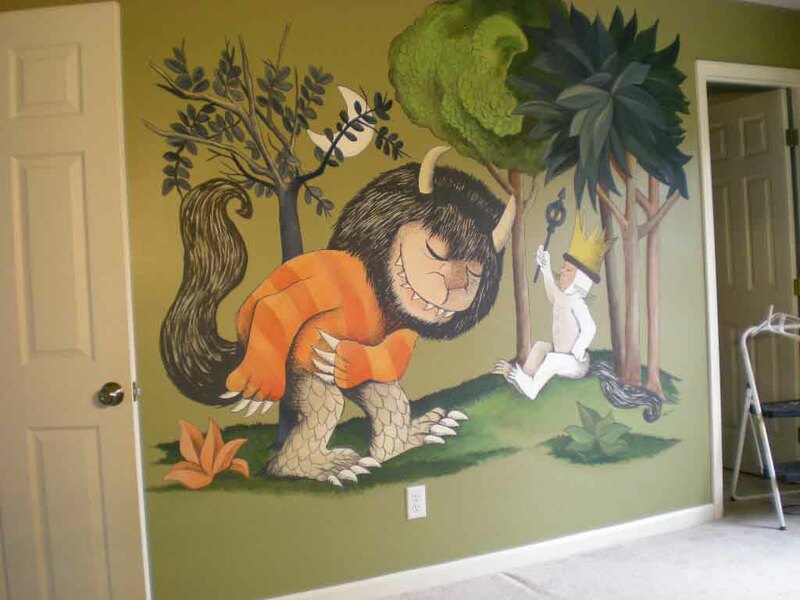 His soon to be parents put together a great nursery with leopard pattern bedding, a beautiful round crib, jungle green walls and the Where the Wild Things Are inspired murals. They even requested that the hanging Wild Thing have leopard spots to match the fabric. A great idea that turned into my favorite part of the mural. 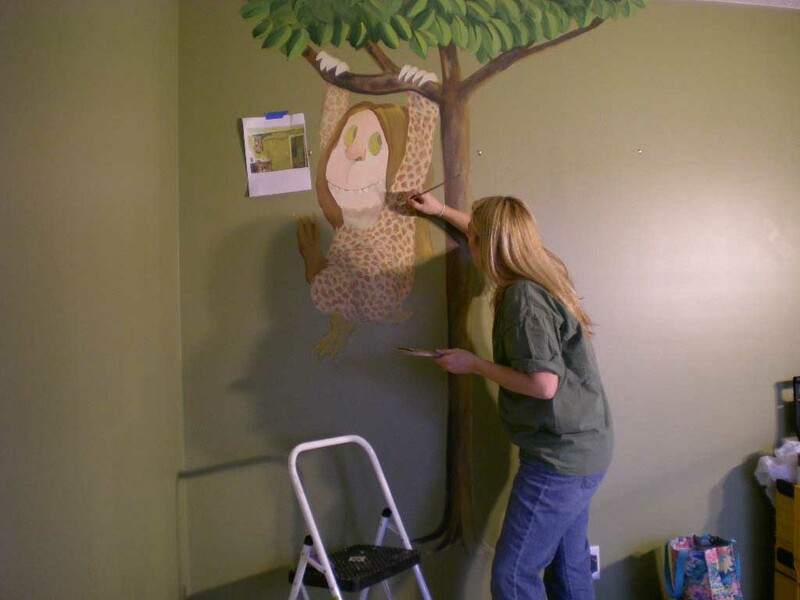 I loved painting this room! I regrettably can’t find the blog where I had found this tip. I wish I could give her the well deserved credit! Looking to purchase a large canvas and not wanting to spend a lot of money, miss blogger (that’s what we’ll have to call her) went to her local Lowe’s and found a cost effective solution. A hollow wood door. I couldn’t believe what a great idea this was, and I had to try it out right away!! So, I purchased a door at Lowe’s for roughly $25. I didn’t need the entire length of the door for what I had planned. So, I cut it in two. Using one half as a canvas for my daughter to paint and the other half to upholster for her headboard. I am so pleased with the results! 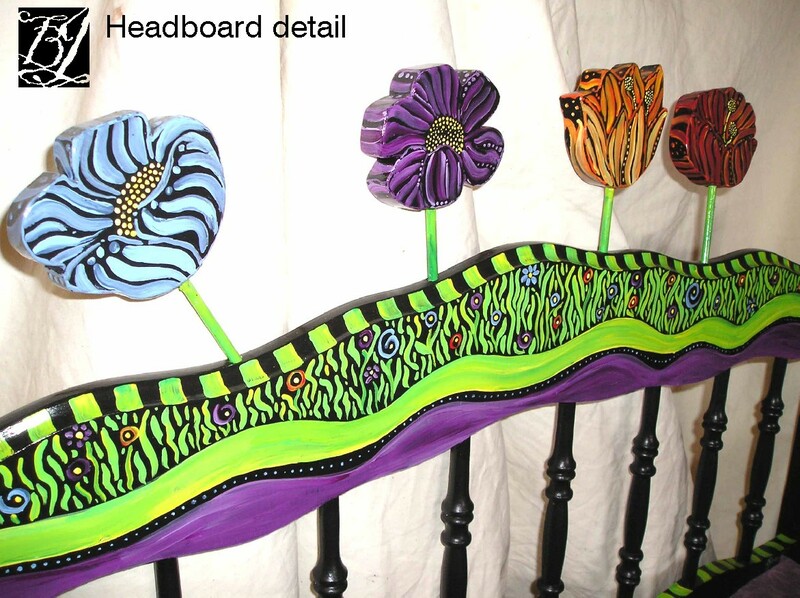 And seriously, an upholstered headboard and an original painting both from $25 hollow wood door!! You can do it too. Check out the whole procedure in fun decorating projects page.